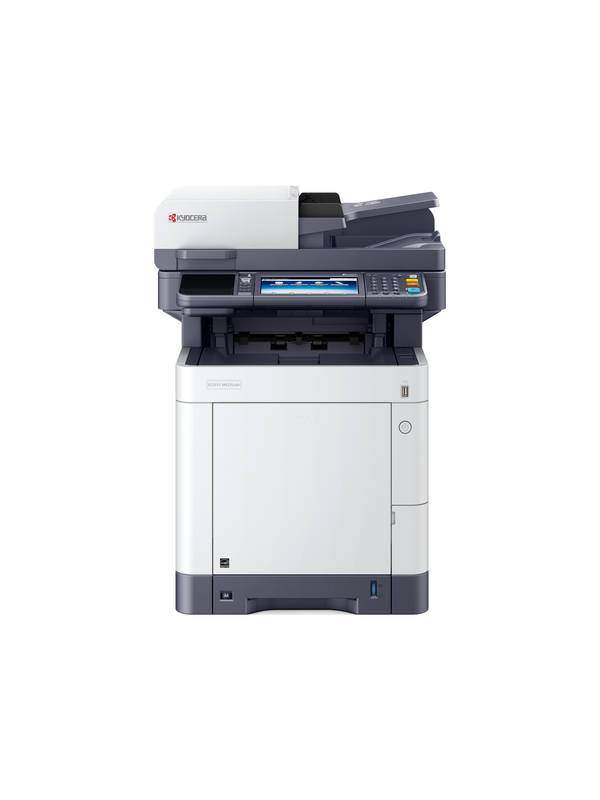 At speeds up to 37 ppm, the Kyocera ECOSYS M6235cidn, Color A4 (up to 8.5″ x 14″) MFP from RYAN combines impressive performance with advanced features to take document workflow to the next level. Designed for ease-of-use with a 7″ color touch screen interface (TSI), it packs business driving features such as a 100 Sheet Dual Scan Document Processor, exceptional business color, HyPAS Business Application capabilities, On-The-Go secure mobile Print/Scan and more in a small footprint. Its low TCO allows workgroups of all sizes to affordably drive their productivity.